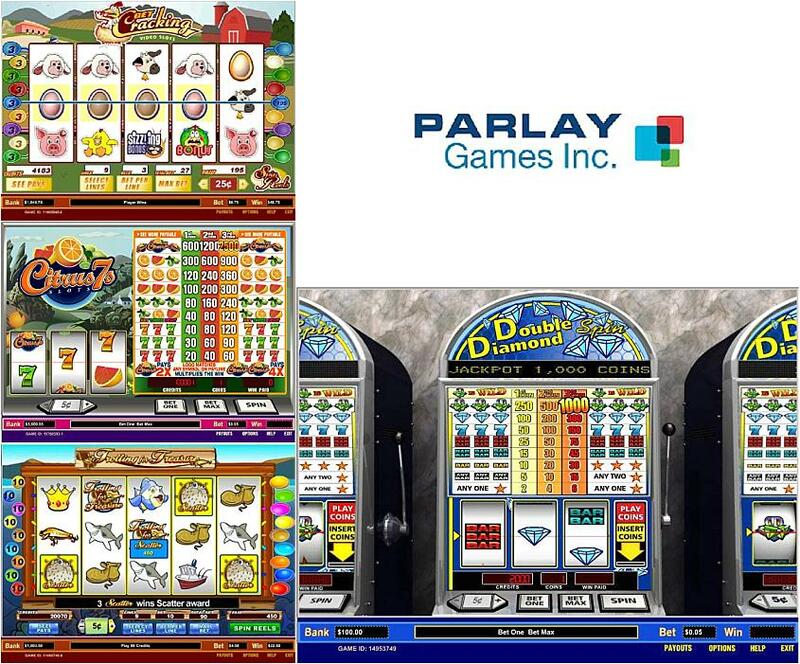 Parlay Games are a Canadian software developer offering multiplatform gaming solutions aimed at the free slots and pay to play markets. With its own licenced online platform, Parlay offers games developed in-house and hosts games from third party developers. Click here to read more. Parlay may not be the biggest player out there, but they certainly offer a wide range of gaming solutions. As providers of fully licenced software they can help set up a new casino operation from scratch, or expand an already established operation. Parlay also offer gamification – simple social time wasting games that can boost brand identity and customer interaction. Their multi-platform software offers a full range of solutions and those third party games ensure they can offer a wide range of choice and variety. Though somewhat simplistic and cartoon-like in an era of edgy graphics and flashy animations, Parlay slots offer some great bonus features for those who like to keep it simple. Take Dead Man’s Chest. There are other 5 reel, 20 payline pirate themed slots out there, but this one shines with its Trolling for Treasure 9 payline bonus game. Get Cracking uses its farmyard theme to full effect with players frying eggs for bonuses and shooting them from a catapult for prizes. Hollywood Reels offers a very tempting 25,000 credits top jackpot. Both their 5 and 3 reel offerings are not afraid to play with some unique themes – Flaming Fortunes features heroic firemen, whilst Double Scoop has a tasty ice cream theme. There’s more to Parlay than just slots games, as they also offer a range of online poker machines all based on a classic arcade style. There are seven offerings in all, including American Poker and Tens or Better. They also offer some classic casino table games like Roulette and Blackjack. Parlay have a huge amount of experience to offer and a wide range of impressive partnerships. They’re a forward facing company who have made great strides in the casual gaming social media world, becoming a major player in gamification. Their multi-platform approach means you can enjoy Parlay games anywhere. Their casino games offer some real action and their full casino solutions are clearly attractive if their client list is anything to go by. As for their slots, Parlay has clearly established a decent niche in simple 3 reel games for which their graphic style is ideally suited, and has some innovative themes and bonuses in their 5 reel offerings. All this makes Parlay games some of the most interesting to play, if not always to look at.